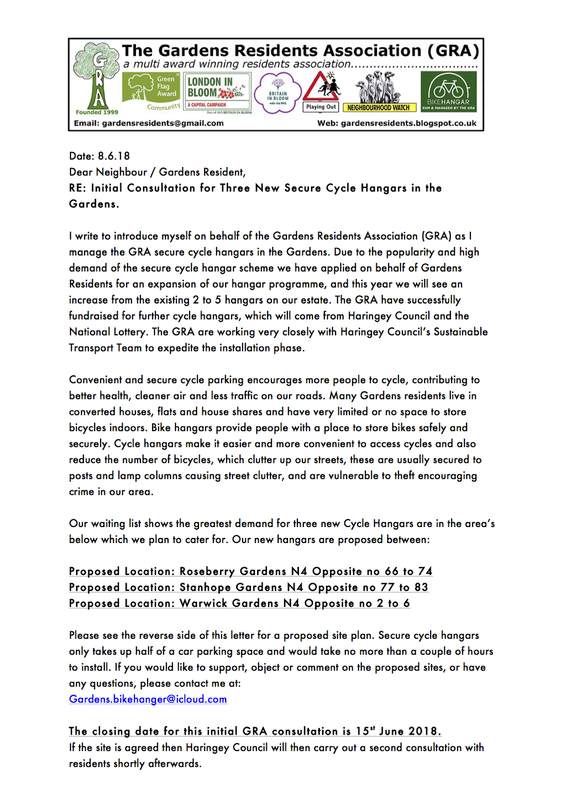 The Gardens Residents Association is convened and run by the residents of the Gardens neighbourhood in London N4. 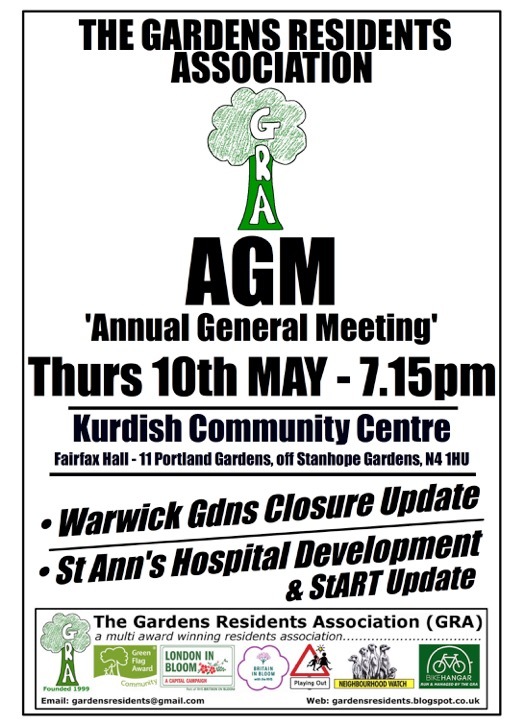 The GRA is interested in residential and quality-of-life issues in general, and conservation issues: traffic management, trees, community garden, children's clubs, Community Wardens Scheme and Neighbourhood Watch. 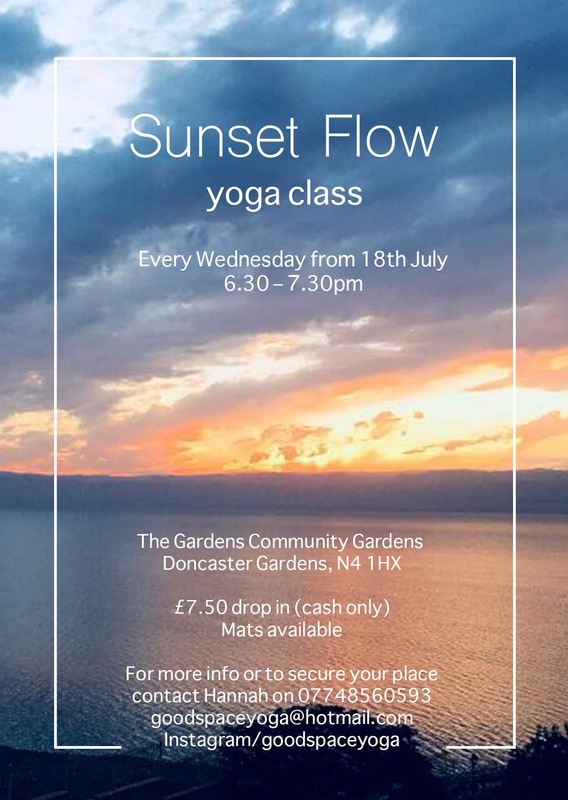 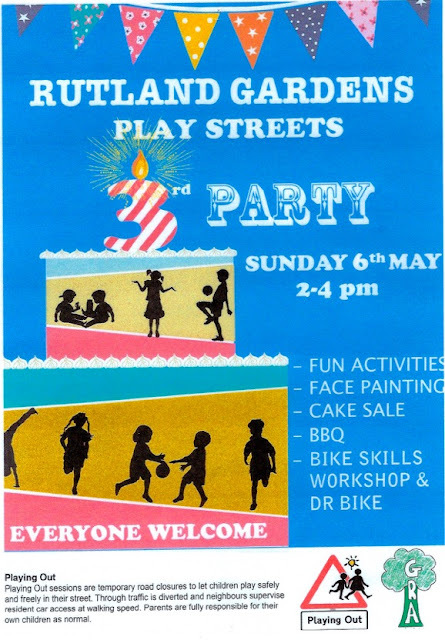 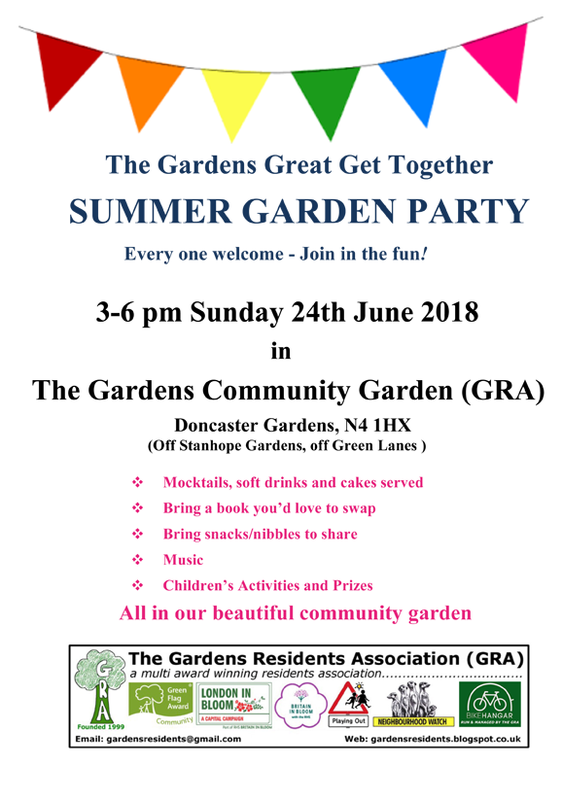 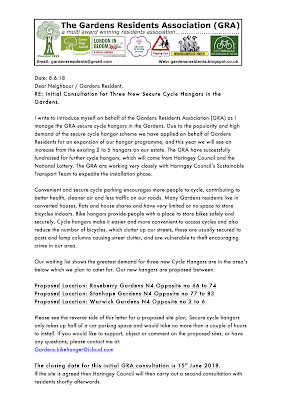 The association is open to local residents who live in the Gardens. GRA meeting dates for 2019. 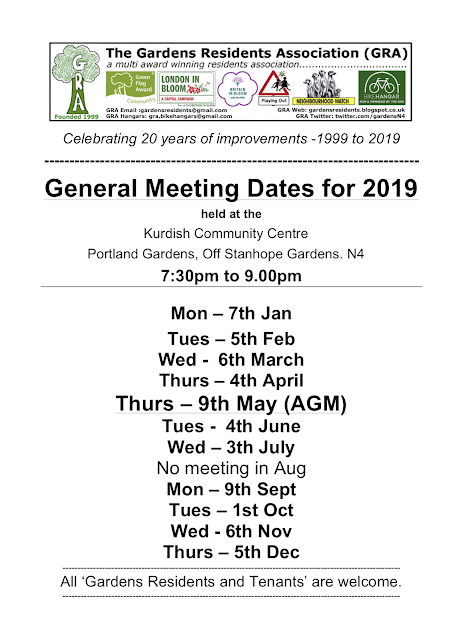 Meetings are held at the Kurdish Community Centre in Portland Gardens, off Stanhope Gardens. 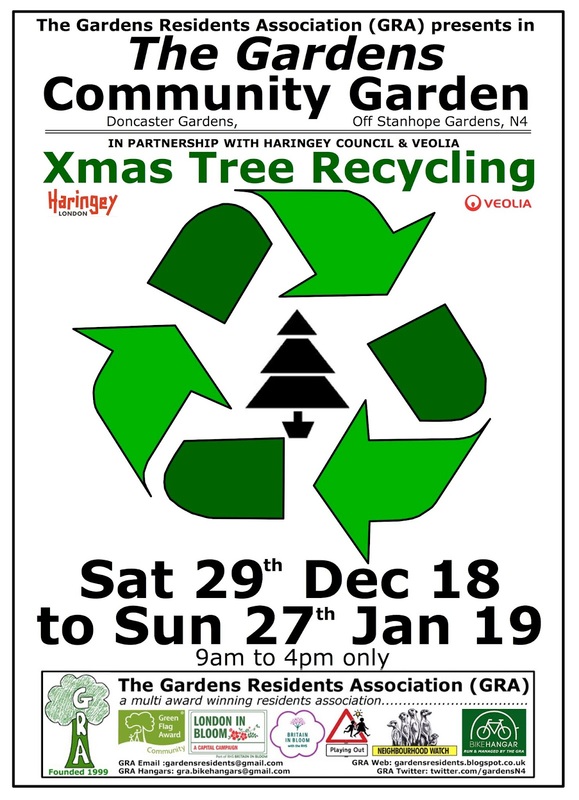 Xmas tree recycling in the Community Garden from Saturday 29th December to Sunday 27th January. 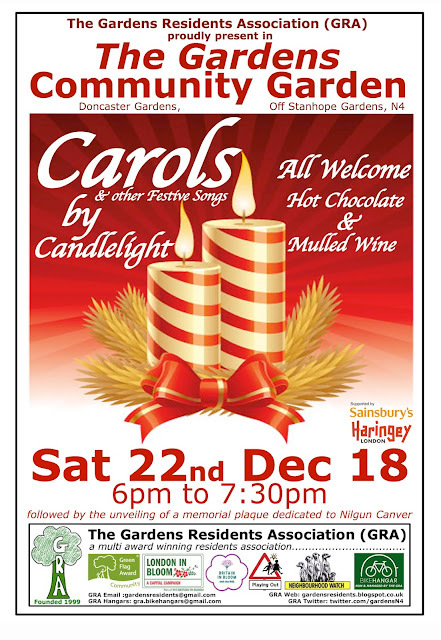 Carols by Candlelight in the Community Garden on 22nd December from 6 PM to 7:30 PM. 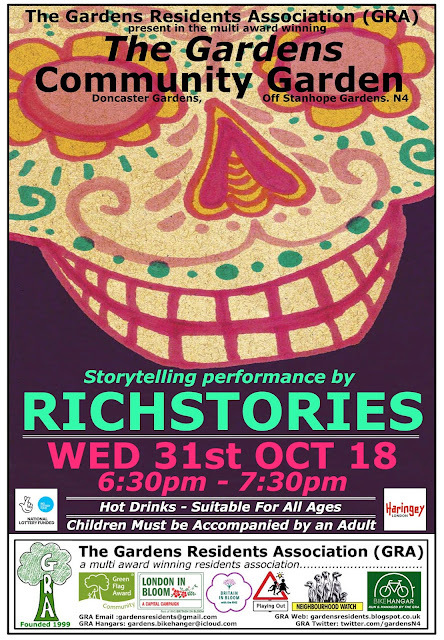 Storytelling performances by Richstories at the Community Garden on 31st October from 6:30 PM. Suitable for all ages. 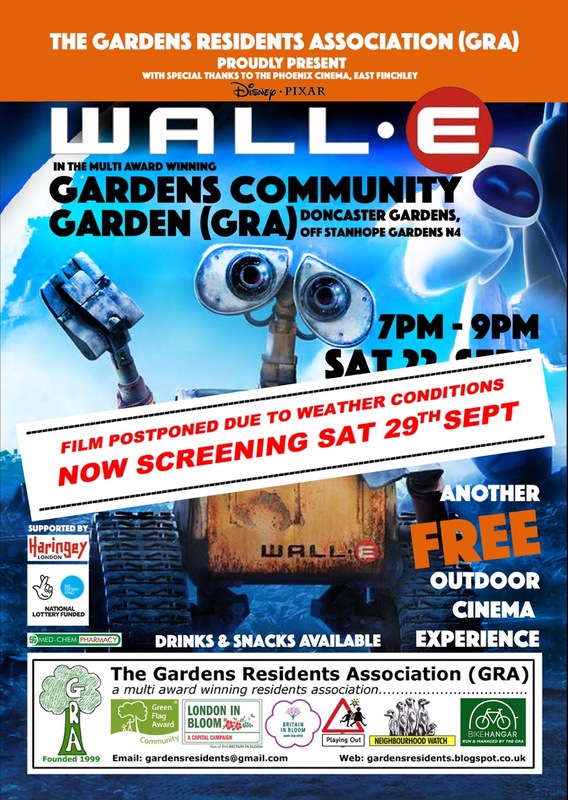 This year's outdoor cinema event at the Community Garden in Doncaster Gardens, WALL-E, has been postponed due to adverse weather conditions and will now be shown on Saturday 29th September at 7PM. 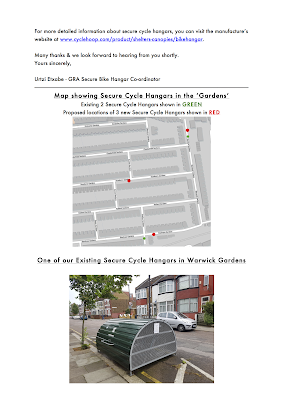 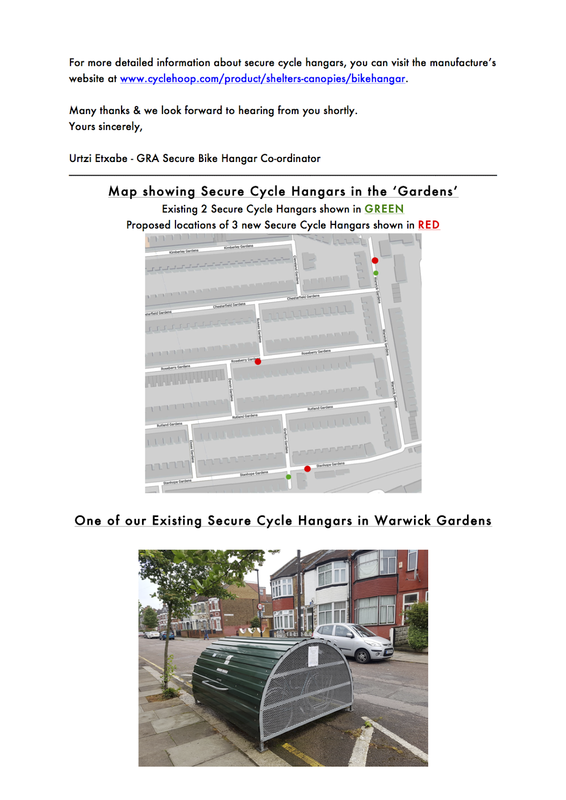 Initial Consultation for Three New Secure Cycle Hangars in the Gardens.